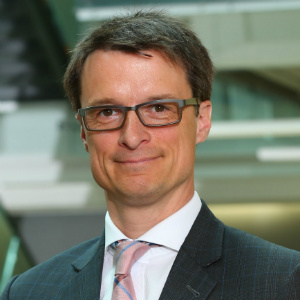 Dr. Sylvain Charlebois, a well-known food commentator and Professor of Food Distribution and Policy at Dalhousie University, is set to speak at the 2019 Canadian Food Summit, CIFST’s annual national conference, taking place May 22 to 24 in Halifax, NS. The author of five books on global food systems, Charlebois is one of the world’s most cited scholars in food supply chain management, food value chains and traceability. He’s published over 500 peer-reviewed journal articles and his research and writing has been featured in several media outlets including The Economist, Wall Street Journal, Washington Post, BBC, Globe & Mail and National Post. Dr. Charlebois is a member of the Scientific Council of the Business Scientific Institute, based in Luxemburg. He conducts policy analysis, evaluation, and demonstration projects for government agencies and major foundations focusing on agricultural policies. He is also a member of the Global Food Traceability Centre’s Advisory Board based in Washington DC, and a member of the National Scientific Committee of the Canadian Food Inspection Agency (CFIA) in Ottawa. Dr. Charlebois is scheduled to speak on Thursday, May 23. Registration for the 2019 Canadian Food Summit is now open and sponsorship opportunities are available. For further information, please CLICK HERE.